Bladder Accumulators with secure one piece molded bags. The HYDRACC. Motion compensators - mooring systems. 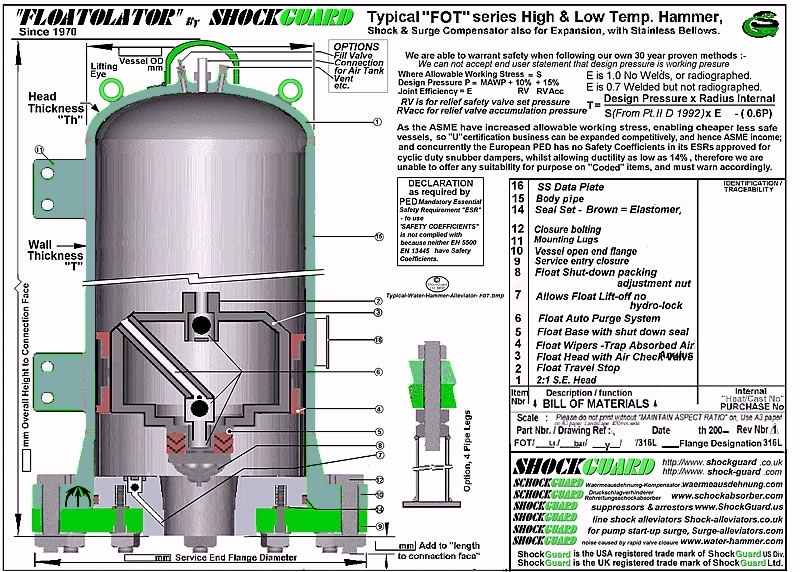 Pipe shock , "water hammer" & surge. FloatOlator for Applications too Large for Molded Membranes. Typical "FOT" series High & Low Temp. Hammer, Shock & Surge Compensator also for Expansion.